The new National Gallery Square 500 in Sofia will be admitting visitors in for free on June 20 between the hours 10 am and 6 pm. According to the gallery’s administration, the interest in the exhibition has been unprecedented in the first four weeks after the opening. They are expecting the 20,000-th visitor to cross the doors over the weekend. 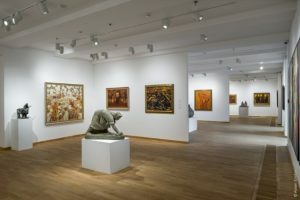 A regular pass at the gallery normally costs BGN 10, with discounts available for school and college students, as well as for retired people.